Situated just below the hill on which the Castle stands in the centre of the Old Town, Galleria Hotel offers you the best location for your business trip or city break. The river banks, complete with bars, shops, restaurants and galleries are just a stones throw away and the main historical and architectural sights are right in front of your nose. 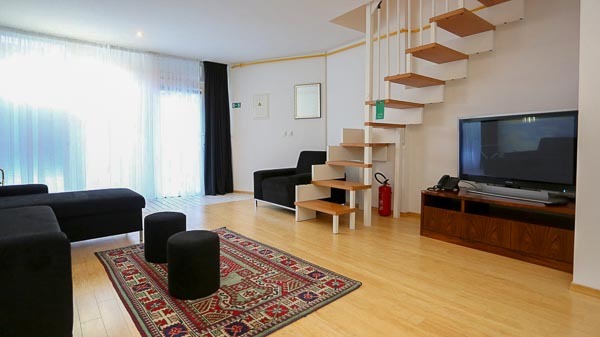 Small but cosy and charming Galleria Hotel offers a wide choice of accommodation options. 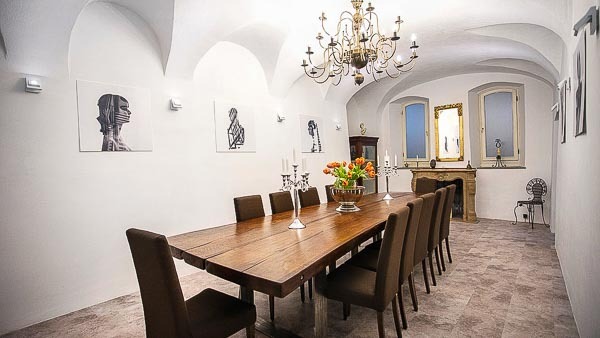 There are 16 individually decorated rooms, some of which have a private terrace, a balcony with a view to the Ljubljana Castle or to the streets of the Old Town. Hotel is newly renovated and refurbished. All rooms have spacious bathrooms, comfortable king size beds, free Wi-Fi connection, individually controlled A/C, telephone, cable TV, mini bar and safe deposit box. The hotel is part of a pedestrian zone, so concerns about the noise of traffic are unnecessary. If you are in Ljubljana for business purposes and need to organize a meeting or a smaller conference, Galleria Hotel has a stylish and fully equipped conference room with the capacity for about 20 participants. The room has a direct exit to a beautiful fairytale garden where participants can chill out during the breaks. Technical support and catering are provided by the hotel staff if needed. As this boutique Ljubljana hotel is located in the pedestrian zone of the old town, you will have to leave your car somewhere nearby. Levstikov trg Square is super close to the hotel and the hotel personnel will be happy to help you carry your suitcases to the hotel. There are lots of parking places by the Ljubljanica river, which runs just a few steps away from the hotel or you can park your car in one of the nearby parking garages.